"Normal" means there's no camera rotation. Each device has its own definition of "Normal" though. For certain smart phones, "Normal" means the photo was taken with the phone positioned horizontally (landscape view). For other smart phones, "Normal" might mean that the photo was taken with the phone positioned vertically (portrait view). "Rotate x degrees" means that the photo was taken with the phone rotated x degrees (clockwise) from the normal view. When editing or resizing this particular image in Windows, we would know to rotate it 90 degrees anti-clockwise, so that when it's uploaded to a website, it would be displayed correctly. There's really no need for us to see the "Orientation" flag in the JPG file because we can visually see how the picture has been rotated in File Explorer. The reason is because when the photo is handed over to a foreign server (be it a website, email server, etc), Windows maintains the original state of the photo (which was rotated 90 degrees clockwise). It's up to the foreign server to honor the Orientation flag and rotate the photo accordingly (90 degrees anti-clockwise) so that it would be displayed correctly. Since most foreign servers do not observe this Orientation flag, the photo is displayed in its original state (rotated sideways). The photo would look "Normal" when viewed in File Explorer because the operating system creates this "illusion" (by rotating the photo 90 degrees anti-clockwise on the fly). In reality, the photo is just sitting there sideways! This was not a problem for older versions of Windows (XP, Vista, Windows 7) because there was no built-in "smartness" in the operating system to auto-rotate the images to their "Normal" orientation when viewed in File Explorer. We can just eyeball the photos and manually rotate the ones that were rotated sideways. When the photos reach the foreign server, they are displayed just the way they were rotated in Windows. 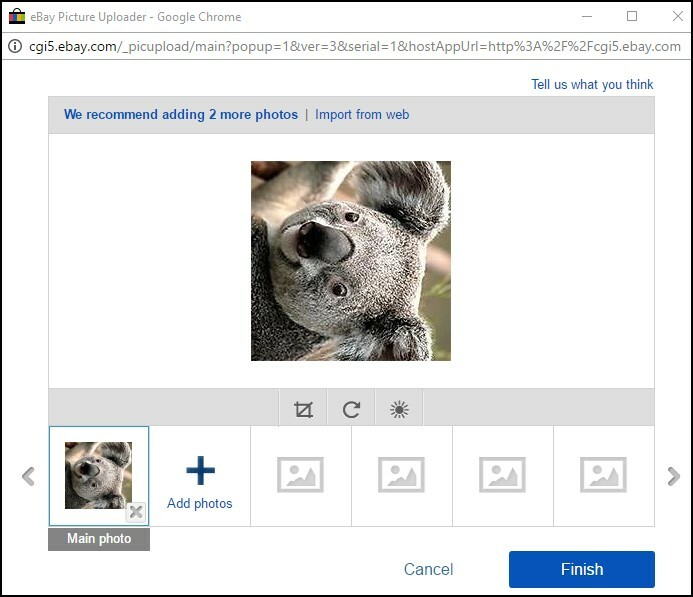 The older versions of Windows provide users with a WYSIWYG (what you see is what you get) view of the photos, while the newer versions of Windows don't. The newer versions of Windows are just too smart for their own good! 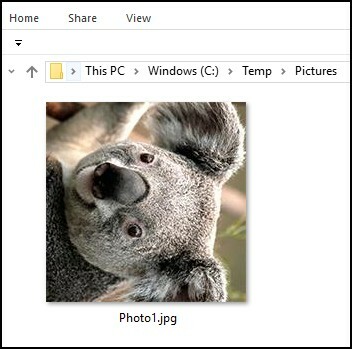 To work around this problem in Windows 8, 8.1, or 10, you will need to identify which photos were rotated by looking at the Orientation flag in File Explorer. 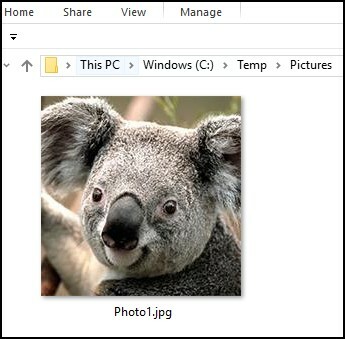 1) Open File Explorer and browse to the folder where the JPG files are located. 2) Go to the View menu on top and click on Details (or you can just right-click anywhere on the right panel and select View, Details). 3) Go to the View menu again, but this time click on "Add Columns" and then "Choose Columns". 4) Scroll down to Orientation and check the checkbox next to it and click on "OK". 5) The "Orientation" column will be displayed on File Explorer and you will be able to determine which pictures need to be manually rotated. We did not actually rotate the picture in Paint, but just by clicking on the "Save" button, it auto-magically rotated the picture for us and set the Orientation flag to Normal. You can perform other manipulations (like resizing, cropping, retouching) on the image at this point, and it's going to be displayed correctly when you upload it to other websites. QuickResizer will resize and rotate all of the images for you! If you just want to rotate your images (without resizing), simply set the "Resize By Percent" to 100%.